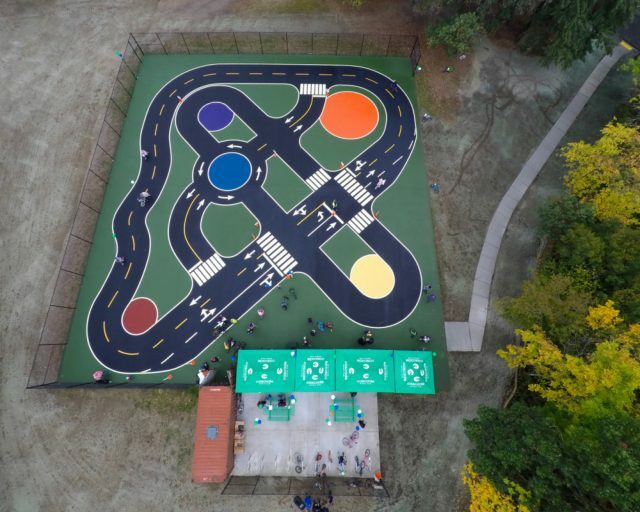 Aerial view of the new traffic garden in south Seattle. If we ever want bicycling to become mainstream, we must find a way to educate more people on the right way to ride in traffic. It can be tough though, because our streets make most people so stressed out that they adopt bad habits just to stay alive. That’s where a traffic garden can come in: A place that mimics real-life street conditions and that’s out of harms way. These facilities have been used in northern Europe for many years (we reported on one in Utrecht in 2009); but the United States hasn’t fully adopted the concept. 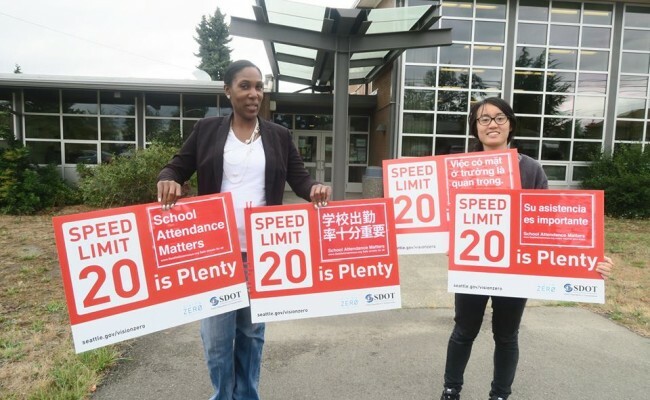 Seattle-area activists were key in pushing for this change. Seattle transportation reform advocates are celebrating a major milestone this morning: last night Seattle City Council unanimously approved a measure that sets a default speed limit on some central city arterials of 25 miles per hour (instead of 30) and 20 miles per hour on all residential streets (instead of 25). This is a big deal. Joshua Cohen reports on Next City that the new policy will effect a whopping 2,400 miles of neighborhood streets. Screenshot from Capitol Hill Seattle. 27-year old Seattle resident Desiree McCloud died yesterday from injuries she sustained from a crash on May 13th. 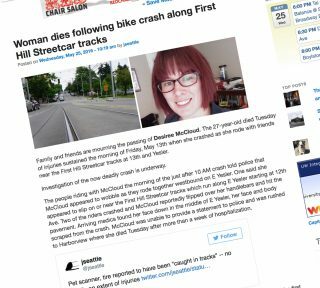 According to reports she was biking with friends near streetcar tracks on E Yesler and 13th when she lost control and went down. 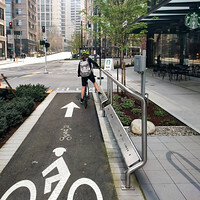 The incident highlights a major problem that has plagued both Seattle and Portland for years: Both cities have busy urban neighborhoods where streetcar tracks and unprotected bikeways mix and both cities have countless crash victims because of it. Track crashes are so rampant here in Portland that there’s an assumption among daily riders that it’s a matter of when not if you’ll go down on them. 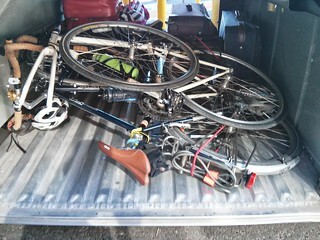 Friend @kitchen and I took the train to Seattle for the first annual Emerald City ride. 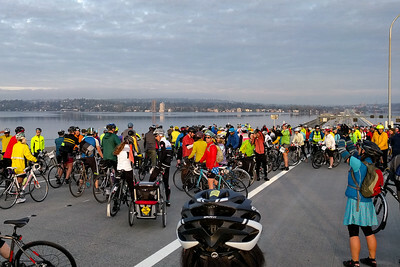 CBC puts on good events, and getting the opportunity to ride the new SR520 floating bridge and the I-5 Express Lanes was pretty special. 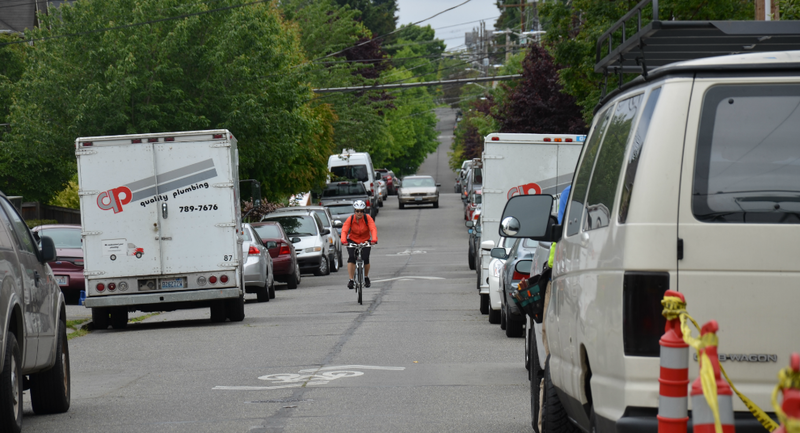 Seattle’s recent housing breakthrough may have lessons for keeping bikeable parts of Portland affordable. Here’s one way to think about the political battle over housing in growing cities, spelled out Monday at an Oregon Active Transportation Summit panel: it’s got three main interest groups. One group is social-justice advocates and tenants. These people are generally interested in keeping prices lower one way or another, especially for the lowest-income people. 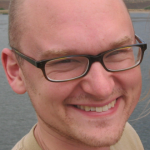 One group is environmentalists, businesses and the development industry. These people are (for various reasons) generally interested in increasing the number of people living in the city. The third group is a highly active subset of single-family homeowners. These people are generally interested in maintaining or increasing the value of their property, especially while keeping things the way they were when they bought it. Not ridden enough, but why? 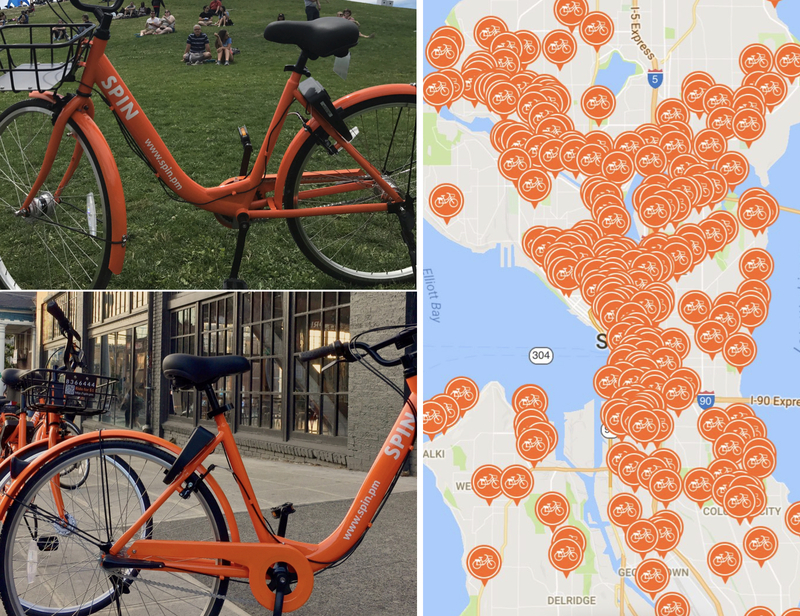 As we mentioned in this week’s news roundup, Seattle’s 16-month-old bike sharing system is in a very tight spot. With the Pronto system taking in only 68 percent of the money required to meet its operating costs last year and the city considering taking it over in order to bail it out, many Portlanders are rightly wondering whether the upcoming Biketown system (which will be operated by the same company, Motivate) could face similar problems. 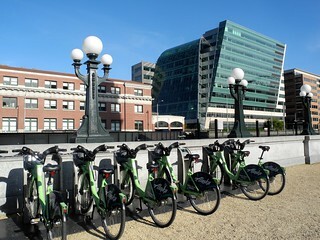 We talked to some of the country’s leading independent bike-share experts today to get their take. Here’s what we heard. 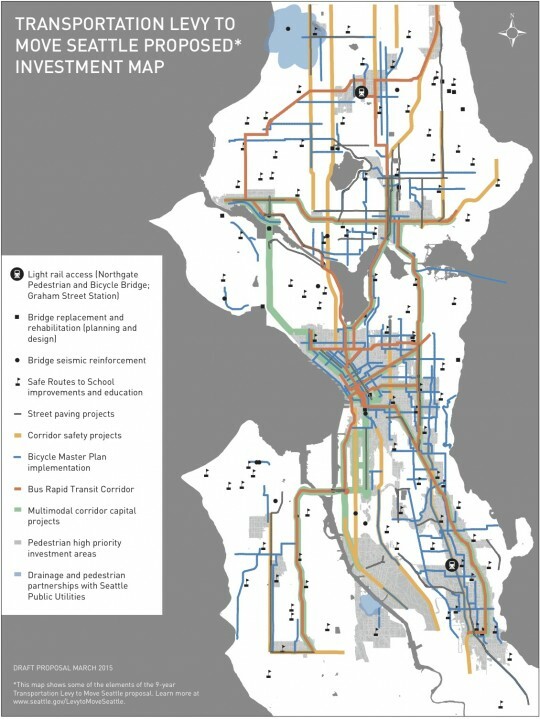 A few miles up the road, Portland’s big-sister city is doing something Portland hasn’t yet: charting a viable path to paying for its transportation goals. 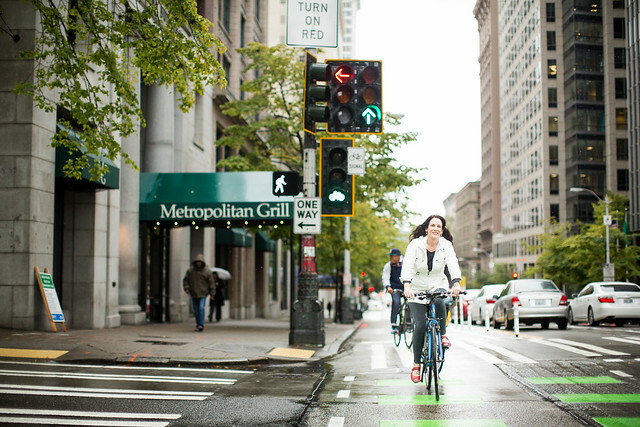 For comparison’s sake, Portland’s “paused” street fund proposal included, at one point, an estimated 14-20 miles of protected bike lanes and 40-50 miles of greenways over 10 years. But the possible lessons here for Portland aren’t just about scale (Seattle is bigger by most measures, after all) and the story here isn’t just that Seattle is succeeding where we aren’t (Seattle has a long way to go, after all).